Italian is a Romance Language! 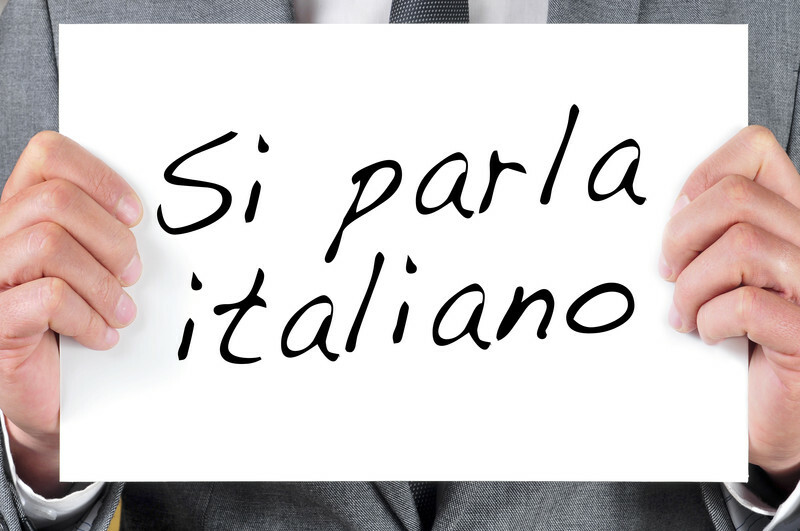 According to the European Union, Italian is spoken as a native language by 65 million people in the EU (13% of the EU population), mainly in Italy, and as a second language by 14 million (3%). Including the Italian speakers in non-EU European countries (such as Switzerland and Albania) and on other continents, the total number of speakers is around 85 million. In many American high schools, Italian was taught along Spanish but in the 1960's and 1970's, this became increasingly rare. Even here in Hershey, Pennsylvania, Italian language classes are rare but when they are offered, they fill very quickly! Most who want to learn to speak Italian do so because they are traveling to Italy. You've all seen the travel shows and know learning a bit of the language no matter where you go is simply the polite thing to do. The level and speaking ability you want to obtain depends upon your goals. You may want to know just enough to get by, you may want to be able to be able to order at a restaurant or make a purchase at a store or speak more fluently to a native speaker. The easiest way to find apps for your mobile device for learning Italian is to simply do a search on Google Play or the iOS App Store for "Italian Language Learning." You will find countless apps on both. Remember that the reviews are usually the best indicators of the app's reliability and usefullness. The number of classes in the Italian language locally are far and few between. There is, however, one offered at the Hershey Public Library. Click here to go to the adult enrichment classes page of the library's website for more information and registration. The Library offers this class several times per year but register quickly as they fill up quickly. Here is a description from their website: "This ten-week class consists of consists of learning the essentials and basic structure of the Italian language. It introduces the students to contemporary Italian vocabulary, pronunciation, greetings, conversation, phrases and dialogues. It will also cover how to tell time, travel tips, money exchange, shopping and tourist information as well as varied aspects of the Italian culture and foods." You can also take a travel-based Italian program to Italy. Of course, it is recommended that you have your basic Italian language skills attained before going on the trip so as to maximize the enjoyment of your travel experience. Harrisburg Area Community College offers such a program. Click here to go to their website for their faculty-led travel page. They offer this program every other year or so. Learn from the best teachers across the country right from your home through your favorite video platform like Skype or FaceTime! You master new skills live through one-on-one instruction with a tutor from your home and you can achieve your goals at your own pace. 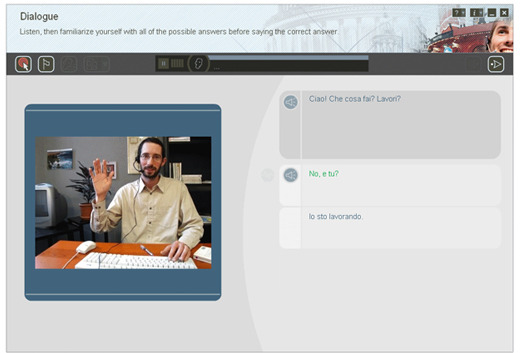 Many of the online tutors are native Italian speakers and the websites have student rating systems. Immersing yourself in Italian media is a great way to continue improving your skills, and it helps you gain a deeper understanding of the Italian language through pop culture and other contexts. Rent Italian films and watch them with Italian subtitles, or no subtitles at all. Focus on understanding the language; soon you should be able to pick up on what the actors are saying. Netflix.com has many Italian language films. There are a great number of online Italian language newspapers. Click here for an extensive list of Italian online media.